Paper Petaler owner and paper florist, Marie Otto, will guide participants in the creation of a handmade paper flowering succulent. 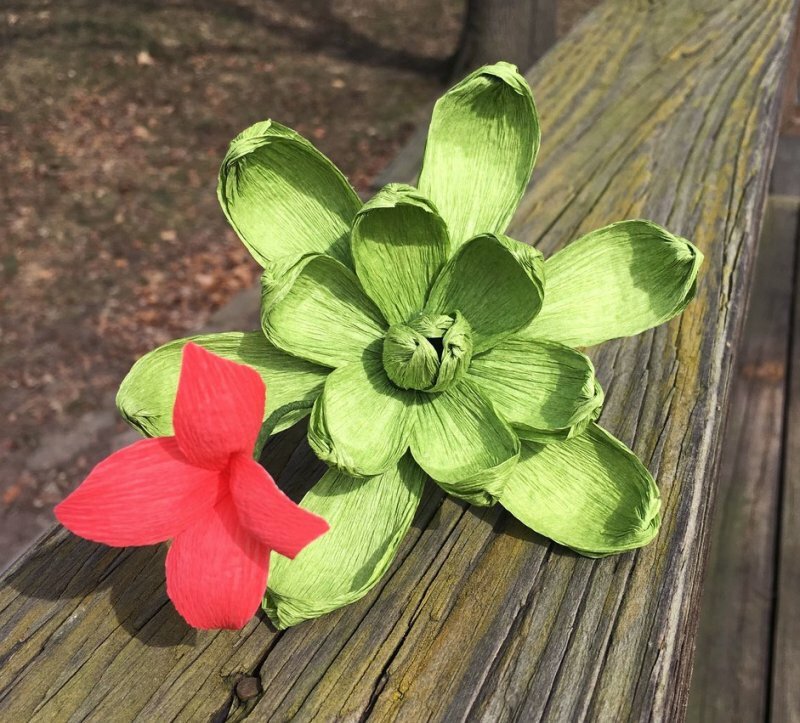 Using materials that are all free of charge – crepe paper, hot glue and stem wire – participants will learn the basics of handmade paper florals while enjoying a hands-on experience. A clay pot for display will also be included, free of charge. Otto is a Michigan native, based in Dearborn, who believes in the healing power of people gathering around a craft, and the happiness that comes from handmade items. If you have a large group, please call Gifts of Art at 734.936.ARTS (2787), as space is limited.